featured musical interludes by the Westside and Orangeville Second School bands. Steven Campbell at the Ontario Arts Council remarked that the DFYA is unique in hisopinion is that he knows of no other festival that involves public, separate, private andhome schooling sectors at no charge into a non competitive venue. Orangeville Baptist Church opened up their chapel area for a second year in 2002 so that schools could display visual arts and the response was overwhelmingly enthusiastic. David Nairn led us in our new mass choral piece composed by Wendy Pound. Once again, volunteers like Kathy Ayliffe, Val Scorgie, Elizabeth Campbell, Carol Vastag,Lilla Fodor, Maryan Angus, Kathryn Matzov, Sandy Harron, Sharon Mullins and Joan Borden welcomed students and teachers to the event and its logistics. 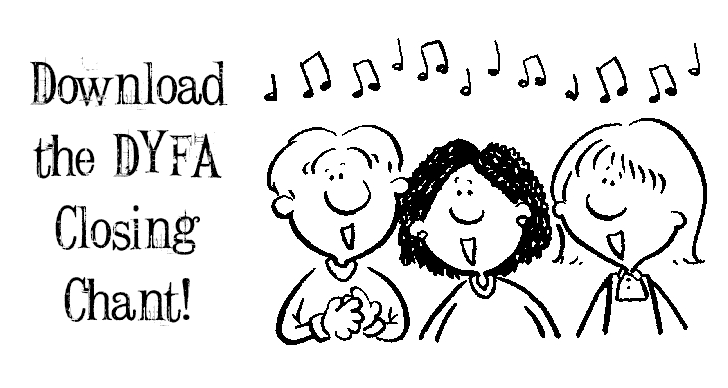 2004 DYFA – A fourth morning is made possible! Bernadette Hardaker joined David Nairn, Theatre Orangeville’s artistic director, as an emcee. Bernadette has worked for CBC Radio as a native affairs specialist, an environmental commentator, a consumer columnist and a producer, on network and regional programs across Canada. She senses along with other volunteers that the DYFA is a story that other communities need to hear. unique and powerful event that has brought energy and opportunity to the students of Dufferin. The heart beat of the DFYA is people assessing needs sensitively and suggesting appropriate support strategies. Teachers welcomed the idea and were willing to give it a try. Principals let us give it our best shot. Personal determination still makes a difference in the education of our children, even during days of phenomenal change and challenge. Orangeville Baptist Church must be mentioned at this point. They partnered to provide the best 600 person auditorium in the county with a terrific sound team. This is offered at a token fee. In no small way this has allowed the volunteers to focus primarily on arts opportunities, not fundraising. The impact cannot be underestimated. In 2004, not only did PMPS students write us, their primary students drew illustrations of their experiences and the delightful artwork captured our hearts. Several pieces were used in the posters for DYFA 2005 but the impact would reach beyond what we had ever dreamed. We marveled at the way the pictures expressed aesthetic experiences in a special way. Why were their drawings so captivating? “Let us hold onto each other” is a song that talks about working together to make the world a better place. It was composed by Dale Wood of Georgetown, who is the director of the Achill Choral Society. He wrote “Let us hold onto each other” in response to the 9/11 disaster and sold the recording as a fundraiser to help victims of war in Afghanistan. It was also performed at Credit Meadows in an assembly to honour the victims of the recent tsunami. Know that the beauty of those moments when the children sang that anthem is something that must be experienced. Felt. Absorbed. The arts connect us in ways nothing else can. What are we learning about the arts in the DYFA? Why do we remember these moments in ways that defy description in words? When aesthetic experience defies words or explanation, does this make the moments of connection less important than other teaching moments? How can we use the arts in our education communities to prepare our children for Canadian society a decade from now? What have we done to explore how this is done well with the arts? You’ll sense some of what we mean if you ever have a chance to view the DFYA DVD highlights. Conversations. Connections. Discussion. Patience. Cooperation. So many friendships and good working relationships have been encouraged in the community over the years within the DFYA. By 2004, over 2400 were attending the celebration and the initiative embraced the trust and determination of hundreds of people. Awesome individuals in this county who did what they could to make this con competitive venue a reality year after year. Although a brief overview must suffice, letters from hundreds of students offer gratitude to one and all who represent private, home schooling, separate and public school sectors.. The Fourth Annual DYFA – Children, parents, educators and communities who bring the arts to life in Dufferin area schools. Thanks went to the sponsors and supporters: Dufferin Arts Council. Theatre Orangeville, Dufferin County Musical Advocacy Committee, Orangeville Baptist Church and Carter & Associates. Kathy Ayliffe graciously takes on the role of volunteer coordinator and leads an incredible team of people who are pivotal in making each school, teacher and students feel welcome and valued. Kathy ‘s commitment since that time to making school visits as hassle free and enjoyable as possible cannot be underestimated. Another community arts advocate, Val Scorgie, met and worked with Doug McIlwain for over ten years as her children moved through ODSS to support and encourage his efforts as music was a beauty she treasured from her own family and particularly her father. Val writes, ‘Some of those whose help was invaluable during the years working with Doug, were Mary White, Carol Bryan, Elizabeth Campbell, Will Weiner, Pam Davis, Collette Smith and many more. And they helped make it so much fun! (I was lucky! )’ Val has also been instrumental in the DFYA story through her giftedness in offering treats and tea to guests and volunteers. Again, people linking arms for school based student arts – Laurie Heimbecker, Karen Orme, Mrs. St. Pierre, Mrs.Harasciewicz, Lisa Longstreet, Lister Jazz Quartet, Donna Allen, Steve Rane, Tracy Gray, Rebecca Satterfield, Rosanne Collis, Michelle Grierson, Joan Borden, Mary Runciman, Beryl Taylor, Mrs. Pulchalski, Mrs. Warder, Mrs. Dewar, Susan Gardhouse, Melissa Dobson, Linda Thomson, Kathy Bateman, Mary Mann, T. Rockel, S. Pirie, A. Itendrie, Jackie Field, Sara Grotian, J. Robinson-Quinn, Cindy Baker, Linda Evans, John McIntyre, John Wervers, Chris Langman, Kim Smith, Ian MacCallum, Carol Angus, Bob Johns, Kate Mitchell, Steve Bookman, and Jennifer Denelzen, Joylyn Bell offered in these years inservices to teachers at her home about the mass chorale piece which brought closure to each mornings moments. Sue Honeyborne continued to arrange program and print design. Thanks as well to the emcee Eric Nagler that year for his passion about the importance music plays in our lives. Reesor Draper at the UGDSB Silver Creek Education Centre continued to produce video highlights of the every schools performance. What a remarkable archive of the effort and learning involved! Carter and Associates Law Firm became our first corporate sponsor in 2001. Theatre Orangeville continues to offer emcees, Dufferin Arts Council funding support, and the DCMAC continued to contribute art story vision. Sandy Harron organized the Visual Arts displays again in 2001 as many schools contributed such as, Centennial Hylands ES, Hyland Heights ES, Grand Valley DPS, Credit meadows PS, St Benedict DPSCB, Westside Secondary School. Is it a hit with students? They’re our most enthusiastic supporters. The chance to be in on the fun of other kids doing other great arts stuff in other schools seems to be appreciated. One set of students even paid for their own bus. Another class asked to come for the second morning just as audience and personally footed the bill because they knew it was worth their time. It continues to work because it is informal, relaxed, non competitive and kids are natural performers. Here’s what we heard from our community in 2002. ‘Thank you very much for the wonderful time at the festival. Also, thank you for letting us open with O Canada. I have been at the festival for 3 years now and every year it becomes more enjoyable. I may be at the festival next year with the high school band, hopefully. Jason – Princess Margaret PS. We greeted each other cognizant of the fact that no small of what we do as community in these days is to live by example that to everything there is a season. Little did we know that this year, our world community would be dealing with issues of international crisis of a scale unimaginable 12 months ago. Even more relevant today is tare the questions around facing the future with courage, the Canadian Mosaic of compassion and tolerance, and being meaningful partners towards peace around the world family table. The privilege of this opportunity today at the festival of celebrating Dufferin’s children, their performing arts and has been underscored by political realties that have made us older and wiser and more thankful. I could ask the people to stand to have made this celebration possible but you would probably not be comfortable with that moment but the fact of the matter is that every adult present this morning is a part of the circle of commitment and each of you has a story to tell of arts advocacy and determination. Thank you to each and every one of you have joined hands to make this day happen. . . this day to celebrate our children, their performing arts and the precious gift of life. Wendy Pound composed an enthusiastic Festival mass choral piece ‘Celebrate’. She offered to teach it to any class of students in Dufferin and her work has been deeply appreciated. She attended the festival for 3 years to help orchestrate its final moments with this remarkable composition. The Dufferin Arts Festival is not only a wonderful asset to the educational program in Dufferin, but is also an essential learning opportunity for student. . . Enlightened educators, such as those employed in Dufferin, acknowledge not only the importance of instruction in the Arts as an essential learning, but understand how experience in the Arts compliments the learning in numeracy and literacy. The Dufferin Arts Festival inspires schools to maintain the Arts as key components tin their curriculum. Students are excited about the festival and practice to prepare for their opportunity to demonstrate their skills. They say ‘beauty is in the eye of the beholder’. To me, beauty is in the expression, the mere attempt that a person achieves is so important to creation. I watch these kids attempt. . . I get goose bumps and so often my eyes well up in tears. They are such perfect performers and artists. In the process they’re applauded by their peers. That’s just plain cool. They captivate. So what if they’re off key or fumble a sidestep? They’ve been taught how to attempt something artistic in nature. These kids have taken what they’ve been taught and have made it their own. That’s beautiful. That’s why I’m here at the DYFA. 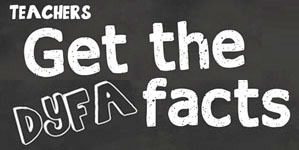 . . I’m a DYFA volunteer. I like to take pictures. That’s my attempt at capturing their beauty. Congratulations on the success of the annual Dufferin Festival of the Arts. The expanded format provided the need for more time for individual schools to perform and allowed for almost a week long celebration of music, art and drama. I would like to extend my appreciation to the organizing committee, to the students who performed, to their teachers, to the audience who supported the performers, to the volunteers and to the sponsors. Having professional emcees adds a special tone to the event and in 2004 Bernadette Hardaker joined David Nairn as an emcee. She has worked for CBC Radio as a native affairs specialist, an environmental commentator, a consumer columnist and a producer, on network and regional programs across Canada. For six years she hosted morning shows in Inuvik, Sudbury, and Toronto, including Ontario Morning. Today Bernadette is doing her dream job. Clients commission her to record and write their memoirs for her personal history service, called Life Stories. Since 1988 Bernadette has lived in Dufferin County with her family. She has two children at St. Andrew’s school and one at ODSS. She is passionate about history, the environment and the arts. Most anyone in Dufferin knows David Nairn, Theatre Orangeville’s Artistic Director. He’s the sort of incredibly gifted professional who acts, sings, directs, composes, manages . . . and is putting Theatre Orangeville on the map as the best local theatre outside the GTA. We feel fortunate to have such excellence in the DFYA. ‘The children are just moments away from feeling like stars again’. What a privilege to link arms all over this county for the arts and young people! Our glitches so far are not surprising – e mail blips, registrar issues and not having a contact person/teacher/parent at times identified at each school . . . and the progress is unprecedented. We have another co coordinator! Noelle Klassen. Noelle is a mom of three children who attend Credit Meadows ES. She took her vacation time last summer to put us on the web. www.dyfa.com Few folks have put their shoulder to the wheel like Noelle. Two more schools will attend this year. A special welcome goes out to St Andrews and St Peters! Robert F Hall is the loop now and is excited about 2006. Though Marilyn Logan graduated from co coordinator of the festival to manager of Theatre Orangeville, she somehow has continued to serve as stage manger to the present. A letter from a Student at Princess Margaret not only spoke to student appreciation, it caught the imagination of Wendy Carter who had served as a coordinator since its first days. Wendy applied to graduate school in Education at Western due to her interest in exploring the impact of the festival as feedback suggested that it was a significant aesthetic experience worth community effort. Greetings to the DYFA 2004 May 2, 3, 4 & 5 – My name is Kansan. I am thirteen years old and go to Princess Margaret. I ply the trumpet with Mrs. Heimbecker as my conductor in the first year band, I love the fact that I joined the band and I can’t wait to do it all again next year. I wouldn’t have gotten as far as did without Mrs. Heimbecker helping me every step of the way. She is a great role model and a terrific teacher. I wanted to join band, not just because I have never tired it foxfire but because it was something that I could call my own. Something that my brother couldn’t beat me at . . . I was just me, myself and I. . . taking band is the best thing that has ever happened to me since I have been in school. I am happy that i decided to take band and I will continue taking it nil I graduate from high school. The festival was a fun and fantastic day. It was amazing having the Westside band there. It showed us that if we kept on working together and practicing hard that we could be that good some day. I loved the music there so much that i can’t wait toss see what they have planned for next year. . . We were so excited to perform; we knew we had the talent. We also knew that us performing fist gave our little but spirited grade ones the courage to do their part. The amazing fact that over 2400 attended this May’s festival is a story of growth that involved give and take, a sense of humour . . . and incredible development. One of the highlights this year was the visiting High School Exchange Band from Okotoks Alberta that hosted Tuesday’s celebration. Every person in Dufferin can be proud of what we’ve contributed in supporting school base arts. We can be proud of we’ve done to facilitate the DYFA as an able community partner in effective arts advocacy for young people. Many people have contributed toward the vision of the DFYA. Few have contributed more than Mary Runciman. Her e mailed notes to the schools over the years about registration deadlines and logistics became know as “Mary’s gentle reminders’ and anyone who has worked with her or been blessed by having a child as her teacher, knows why we have all learned from her example, not only what to do, but how to do it. Choosing gentle strength and known as a person of her word, Mary is an accomplished pianist who has accompanied Doug McIlwain’s choirs for many years. Mary Runciman is one of Dufferin’s unsung heroes and ever so gently, one of Dufferin’s most informed educators within Dufferin’s education community. No one teacher has played a more influential role in advising DFYA policy. Here are here remarks that welcomed us all to the 2004 DYFA all school planning meeting at Mono and Amaranth PS. Welcome to Mono-Amaranth Public School and to this planning session. It’s wonderful to see so many interested supporters. The Dufferin Youth Festival of the Arts is celebrating its seventh year. Starting as a community-driven initiative, the festival has now become a tradition. It brings together private, public, separate, elementary and secondary students and teaching staff to share the experiences of their arts programmes. Classroom and/or group performances remain the focus. The celebration is truly diverse – each morning of the three- day festival is unique. Schools are allotted approximately seventeen minutes to organize on the stage, perform and return to their seats. Students share the roles of audience members andperformers. The mass choral piece at the conclusion of the morning sessions unifies students, teachers, parents, community members, volunteers and special guests. same. Increased participation from secondary, private and separate schools will be encouraged and welcomed. Support from our four sponsors will continue. Eric Nagler and David Nairns will be joined by Bernadette Hardacker as emcees this year. The executive has been encouraged to present the festival’s story to the national press. If that is to happen, an increase in the number of volunteers would be necessary to develop stories, record videos and highlight school involvement. We here at Mono-Amaranth are delighted to host this first planning session. Communication is essential for the festival’s growth and effectiveness.